With life at home always in mind, Techo-Bloc’s focus on landscape product design has pushed the boundaries; creating materials for notable curb appeal and stunning, as well as functional, backyard spaces. Twenty-five years of combining art and science has created the trademarked Techo-Bloc Precious Stones; unsurpassed for their esthetics, strength & durability. Find everything you’ll need to design your outdoor space at www.techo-bloc.com or call 1 877-832-4625 to find a retailer or Techo-Pro installer in your area. With more than 450 employees, Techo-Bloc Group comprises six production facilities in Canada, three new leading-edge plants in the USA, and seven wholesale distribution centers located in: Ontario, Ohio, Illinois, North Carolina, and Massachusetts. 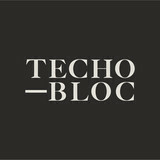 All Techo-Bloc facilities proudly perpetuate our commitment to creativity and excellence. Yardville Supply is the largest supply yard for quality pavers and landscaping materials in the greater Mercer County area. We serve the trades by providing in-stock, high-quality inventory and project support. We serve homeowners by providing a 10,000-sq.-ft. Outdoor Paver Gallery that is very helpful in the selection process for choosing color, texture, size, patterns, borders, fireplaces, lighting and more. We can also connect home owners to reputable contractors for installation from our preferred network. The Paver Gallery is located outside and across the street from our Yardville Supply/Ace Hardware store, at 47 Yardville Groveville Road, in Yardville, NJ. It features brands Cambridge and Belgard - the best in quality and value. We keep our adjacent supply yard stocked with pavers, so there's usually no ordering or wait time. 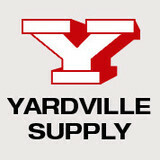 Call us at 609-585-5000 or visit <a rel="nofollow" target="_blank" href="http://www.yardvillesupply.com/">http://www.yardvillesupply.com/</a>. Smith's Yardville Supply & Ace Hardware is family owned and operated since 1946. We have been supplying homeowners, contractors, builders, landscapers, and townships with the highest quality masonry, building and landscaping supplies, equipment, and general hardware for over four generations. Our experience, friendly and knowledgeable onsite staff and product experts are your best tool for completing any project smoothly from start to finish. Additionally, our four Ace Hardware stores located throughout New Jersey and Newtown, PA, offer a large range of wholesale and retail products, contractor equipment, tools, paint, seasonal items, and much more. Some of our featured brands include Stihl tools, Weber grills, Yeti products, and Big Green Egg. BEST OF HOUZZ 2017 - Founded in 1981 - A first generation family owned business serving Bucks, Montgomery, Lehigh & Chester counties along with parts of New Jersey. An "All Phase" mason contractor we specialize in Custom Masonry. Be it Natural Stone, Brick work or Block work, Flagstone for patios / walkways, Faux Stone, Natural thin set stone / brick, conventional cement Stucco, or whatever your masonry needs may be. As we train our 2nd generation we are a "hands-on" masonry company who professes quality and consistency which is matched by few. 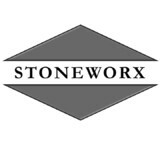 Since 1991, Stoneworx has been providing quality, professionalism, and excellence to our customers in Bucks County, Montgomery County, and the surrounding communities. Our mission is to offer a seamless experience, from concept to completion, by providing the customer with exceptional service, quality products, and a professional installation. Ettore Troia integrates minimalism and geometrical form to create sustainable natural environments of distinct visual character. Within his solutions, he explores and expresses the intimate relationships between people and landscape, and collaborates with his clients to craft deeply personal and lasting outdoor spaces. For all projects, his goal is to create places of refuge, celebration and social connection. Ettore Masonry was established in 2003 and has pursued a traditional construction practice that has provided clients with excellence in design and service. His specific areas of expertise are outdoor living environments including kitchens, wood burning pizza ovens, fireplaces, swimming pools, Jacuzzis, historic renovations and new construction. Clients include residential, commercial and private developers. EttoreTroia works with architects and designers chosen by his clients and also collaborates on projects from conception to completion. Roy got his start over 25 years ago as a member of the local Masons Union. He quickly rose through the ranks demonstrating his abilities as a craftsman as a masonry contractor. Although working in the Union was both rewarding and a decent living, Roy wanted to work on more creative projects. Such projects were not presented to him through his local union shop. Eventually his creative spirit won over his practical side, and he left the Union behind to strike out on his own as a small business owner. Roy and his clients quickly realized his ability as an old world mason with an eye for detail. Targia strives to attain old-world craftsmanship through the application of new-world methods, implementing both technology and technique to meet the client’s needs. In this, the foundation of our philosophy is born “The most important foundation we build is the relationships with our clients”. His ability to manage projects and to over deliver time and time again, is how Roy Targia Masonry and Custom Outdoor Living has been able to build a thriving masonry business in New Jersey. There is no job too big or too small for Targia’s team. We know our customers expect the highest quality standards. The vast majority of our work comes from repeat customers. Reliability, consistency, and integrity are the hallmarks of our reputation. That is what we have delivered in the past, and will continue to deliver in the future. Roy Targia is on site for all projects to ensure the perfect final outcome. When your looking for a Masonry Contractor New Jersey Contact Us. Mike Palmieri is owner and president of Central Jersey Chimney Sweeps & Masonry located in Farmingdale, NJ. Central Jersey Masonry & Chimney Sweeps was established in 1996 and is a fully licensed and insured chimney services company. Central Jersey Masonry & Chimney Sweeps is CSIA (Chimney Institute of America) Certified Chimney Sweeps. The National Fire Protection Association (NFPA) recommends that every chimney and vented heating appliance be cleaned and inspected every year. We use quality materials for all repairs, and we use the latest innovations in tools and products to offer you exceptional service and customer satisfaction. Since 1982, Nicosia Construction has been a family-run premiere outdoor home improvement solution for clients throughout the tri-state area. Celebrating its 35th year, Nicosia has completed over 2,000 jobs to date, taking on 80-100 new projects a year, and steadily growng. We make it easy - no surprises, no hidden costs, our process is smooth and simple and we will work with you to meet your needs. Whether you want to be involved every step of the way, or you just want us to let you know when we're done - we've got you covered! When you choose Nicosia Construction, your are not only making a great investment on your property, you are also getting a great guarantee that your investment will be protected. Whether it be five months or five years down the road, we will always be here for you. On time and on budget, we have something for everyone. A backyard design is based on areas that will accomodate the furniture for the lifestyle that you have imagined for yourself. It is OUR imagination that will bring you towards that. We are innovators and pride ourselves on doing the newest things, with the freshest ideas. We also pride ourselves watching all of the other people copying what we do! We are Hunterdon County's PREMIER Pavingstone Contractor. We have chosen to work in ONE trade, and do it better than anyone else. We take pride in EVERY job, no matter how large or small, paying "Attention to Detail". We are NOT a low bidder; we believe you get what you pay for. We work with our customers from design to completion; our mission is YOUR satisfaction. We back our new installations with a LIFETIME WARRANTY on workmanship. M&C Contractors is a Philadelphia based contracting company, specializing in all types of masonry and concrete work. We are a family owned and operated business, taking pride in our work and striving to exceed expectation. With well over 30 years of experience we can guarantee our work is completed properly and on time. M&C has the equipment and the knowledge to complete almost any masonry or concrete job, wether it be commercial or residential. Rusling paving and concrete, has been pioneering asphalt and concrete improvements for over 40 years. We offer a wide variety of services that include driveway and patio design, layout consultation, and property beautification. We install driveways, sidewalks, and patios on a daily basis from April to November. Our seal coating crew is dedicated to preserving your asphalt, by filling in cracks then sealing the area with a commercial grade sealer. If your concrete or asphalt has deteriorated beyond salvation, we can offer very cost effective alternatives to expensive removal and replacement. One of the reasons we are able to continue to provide superior craftsmanship, is the fact that our members are long time employees. You should choose a contractor that has experience, knowledge, and a goal of 100% customer satisfaction. You should choose Rusling. Decorative Concrete and Hardscape Specialist - Let us create your Dream Outdoor Living Space! Solution People Inc is a family owned concrete, pavers and masonry business located in Newtown PA. With the owner of the company, having 22 years of experience in the industry we can assure you that the finished product will be just the way you envisioned it. We offer a wide variety of services at a competitive price. All of our workers are skilled in all phases of concrete and masonry and work with great professionalism. We focus on making you comfortable through the entire process and providing the highest quality service to the customer. The owners manage every project and inspect all work being done on the job sites to provide you with that quality service. Is it time you spruced up your outdoor living spaces? Creative Doylestown pavers, masonry contractors and stone suppliers can help. Professionals specializing in hardscape such as walkways, patios and retaining walls will work with you to design, plan, install and even fix your exterior and interior home projects. 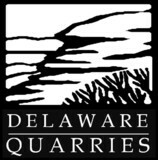 Read further to learn how to best find and work with Doylestown, PA stone, brick, paver and concrete contractors. For the most part, people hire a stone or concrete contractor for large installations like driveways and walkways, or for home facades and exterior columns. These brick, pavers or stonework installations can add lots of functionality and visual curb appeal to your Pennsylvania home. Pavers come in a wide variety of colors, shapes and sizes, and the right vendor or specialist can help you choose a color and design that complements your existing landscaping. From installing new exterior columns to repairing your chimney, masonry contractors can help you add both visual appeal and value to your property. They’ll know what kind of installation makes the most sense for your Doylestown, PA climate and regional style. Looking for something that will develop a patina with time? Or would you rather have your home feel brand new for years to come? Choosing the right kind of stone involves thinking about the future, too. Experienced brick suppliers and stone suppliers can help you find the material that will work for your home now and for years to come. These professionals aren’t limited to exterior work either. Whether you want a split-stone granite wall in the kitchen or need help installing traditional brick masonry on your fireplace facade, you’ll want a professional to get it right. If you’re already working with an architect or designer, he or she may be able to suggest a good Doylestown, PA subcontractor to help out. Here are some related professionals and vendors to complement the work of stone, pavers & concrete: Landscape Architects & Landscape Designers, Architects & Building Designers, Garden & Landscape Supplies, Driveways & Paving, Siding & Exteriors. Find stone, paver and concrete professionals on Houzz. Search the Houzz Professionals section for Doylestown, PA stone, paver and concrete professionals. Browse photos and read reviews, and contact a pro if you like their work.